When most people travel to Dubai, they often see Emirates, as the star carrier. Since DXB is the home base for Emirates Airlines, it only makes sense. However, there are some low cost carriers worth looking at when flying out of Dubai or even into Dubai. In this post, we will look at FlyDubai, which was initially supported by Emirates in its early stages. The airline commenced service in 2009, with a handful of flights, mostly to Mid East cities. However, they have since expanded rapidly, and have added an extensive network of 83 destinations, which spans from Moscow to Delhi, to Dushanbe, to Addis Abbaba, and a whole lot more. They even fly into Kabul. They recently announced service to Kilimanjaro, Tanzania. 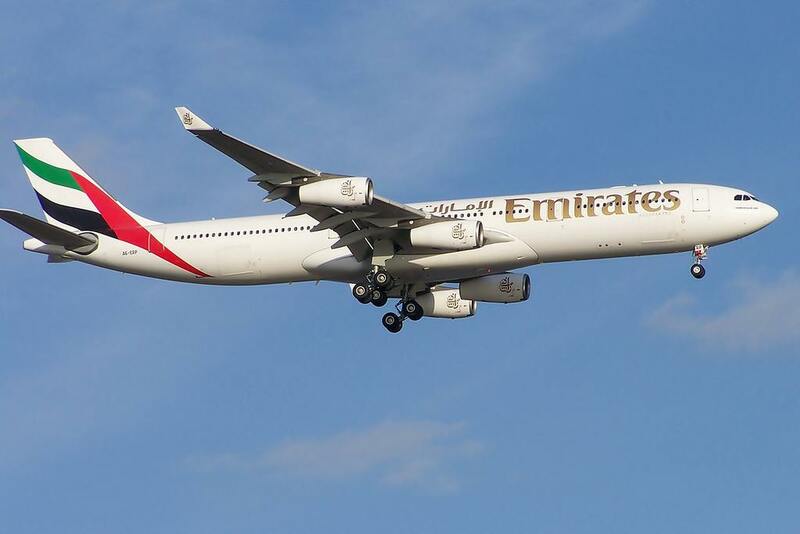 Ticket prices are pretty cheap and it is a great alternative to flying Emirates. It is noteworthy to mention they also fly into Malé Maldives, which may be a good option, if you cannot find any award flights. 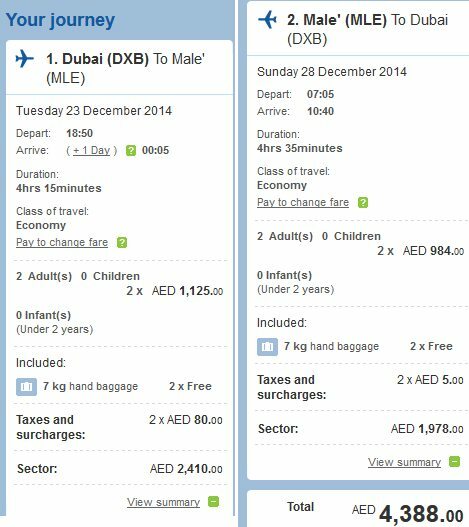 Book your ticket to Dubai, and purchase the ticket from Dubai to the Maldives. The economy class is pretty much what you would expect from a low cost carrier. You have to pay for checked in luggage, on most routes, pre-book your meals, if you want to eat during the flight, and a limited restrtiction with carry-on weight. Although I don’t believe this is enforced in any way currently. The luggage policy is pretty liberal compared to domestic low cost carriers, and even European low cost carriers. The pre-booked meal option is what caught my attention. it sure didn’t help it was dinner time when I was looking at the menu and pictures, because it only made things worse for me. It looks more like a domestic first class menu, really. 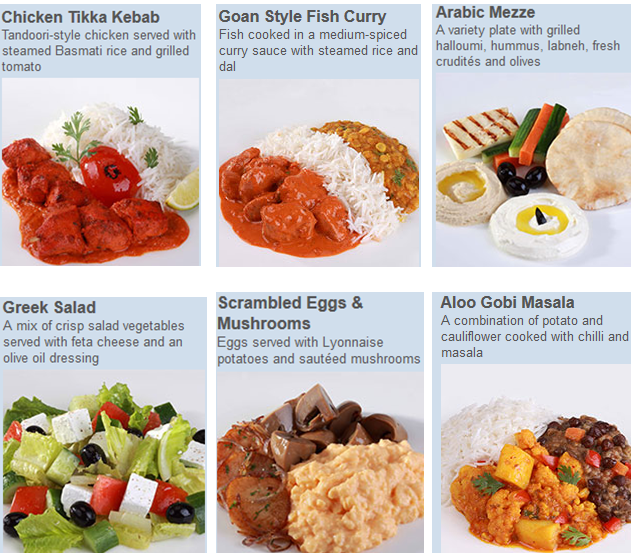 They offer dishes like chicken tikka kebab, fish curry, arabic mezze platters, and much more! 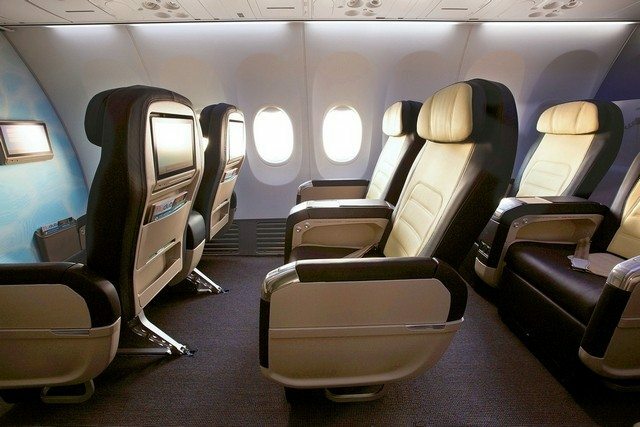 Recently, they have started offering business class on some long haul flights. The business class is pretty decent in terms of service, and the reviews indicate that. Since they use Boeing 737-800’s for their fleet, there are only 12 business class seats per plane. The services is comprised of 3 course meals, noise canceling headsets, and a larger seat, of course, and a 12″ screen for in-flight entertainment.You also get free baggage allowance, and access to an airport lounge at Dubai’s Terminal 2. Unfortunately, I couldn’t find any pictures of the meals to show you, but I imagine it must be quite a treat. I did find the “snack menu” which is similar to Alaska Airlines Northern Bites menu. I priced out a flight to the ever popular Maldives, and it came to about $1200USD for two people. Is that cheap? Not in my opinion, for a low cost carrier. However, I did select the Christmas holiday period, which is just an ugly time for me here with the rain and cold weather, and the Maldives is just the place to escape to. If I wanted to book this, I would have to budget it accordingly, by using award flights into Dubai, and then booking this flight separately. With the hotel costs, and air taxi charges, this (dream) vacation could be a spendy one. However, like I said earlier, it is one more option to the Maldives, when you can’t book the flight into MLE using miles. FlyDubai offers some value to some great destinations, from Dubai. If you plan on booking with them, do your pre-booking rituals such as meals, seats, and baggage, because it won’t be a good value if you do it at the airport. With their extensive (and still growing) network, they offer some cheap fares to a lot cities across Asia and Africa and the Middle East. Happy Travels! 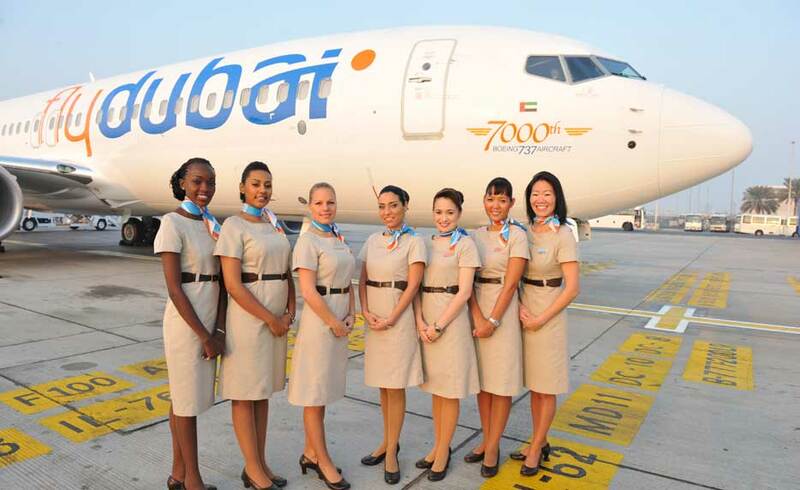 Be the first to comment on "FlyDubai Airlines : A Closer Look"